Familiar strength and conditioning exercises in the water. Reshape your body and improve flexibility and balance with or without equipment.This class stays within the recommended American Arthritis Foundation water exercises. 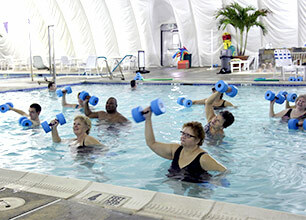 The “pool party” workout for all ages. Fusing latin-inspired dance moves and fitness with latin rhythms, you will Cumbia, Salsa and Merengue your way to good health. 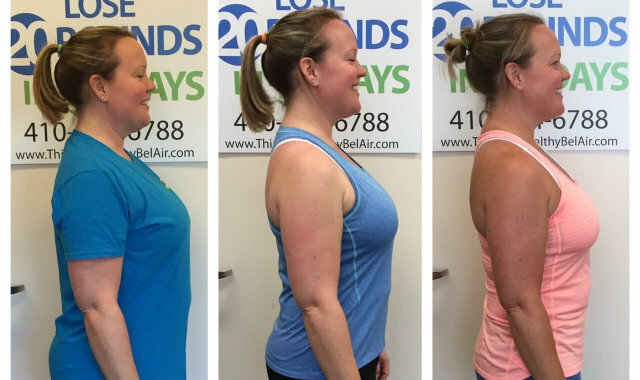 This class is for all fitness levels! Enjoy Yoga poses in the warmer water to help develop strength, static balance and range of motion. This class pushes cardiovascular training and core strength to the next level. It’s the perfect way to cross train. Geared for the intermediate to advanced fitness enthusiast. Flotation belts provided. This class is a unique blend of kickboxing and martial arts structured for a fluid workout. Expect a high intensity, power-packed circuit that fosters strength and grace. 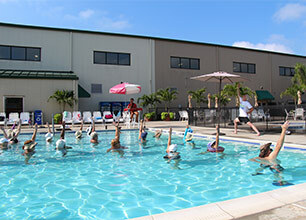 Aqua Boot Camp invites participants of all fitness levels to enjoy pool interval training.